For the last three years we have hosted SnarkFest in our So Suzy Facebook Group. It is a fabulously fun time where we pull out our inner snark, have a ton of laughs and get ready for snarky inspiration. 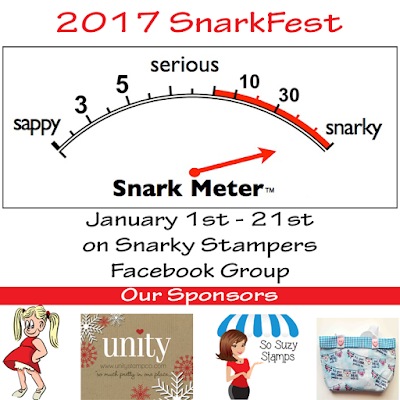 This year, I am happy to say that we have grown our snarky silliness and have 3 new sponsors to add to the line up and moved it to the Snarky Stampers Facebook Group. Joining us this year are Crackerbox Palace Stamps, Unity and Simply Charming Everyday and we have some great prizes from them that will be awarded after SnarkFest has concluded. Or you can sit back, check out the sass, join the group and lurk in the shadows. There is nothing better than starting the new year out with a lot of laughs from your snarky sisters! If you need some snarky inspiration, check out the Using Snark the Right Way podcast. It is sure to give you the inside scoop of how to create the most amazing snarky cards! I even had a chance to whip up a snarky card over the holidays! I truly love making snarky cards and they are definitely my favorite! 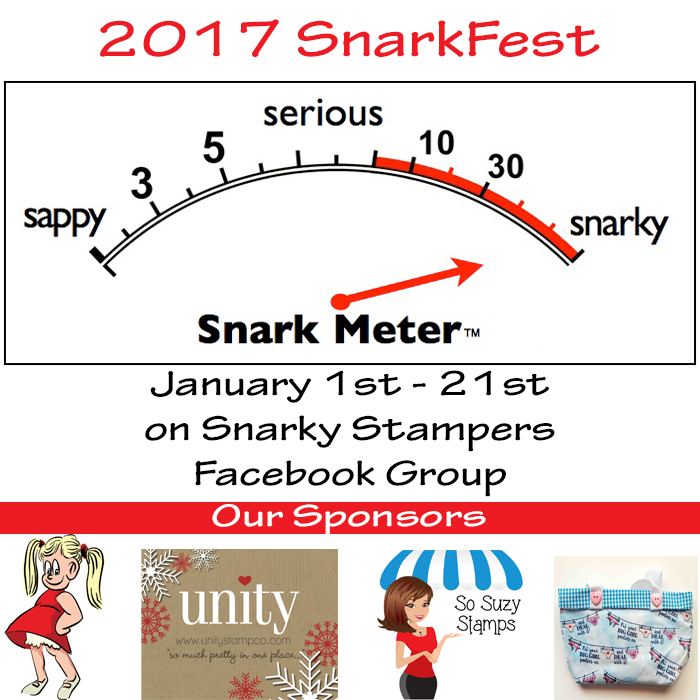 I hope to see you over in the Snarky Stampers Facebook Group and enjoy the start of the new year!